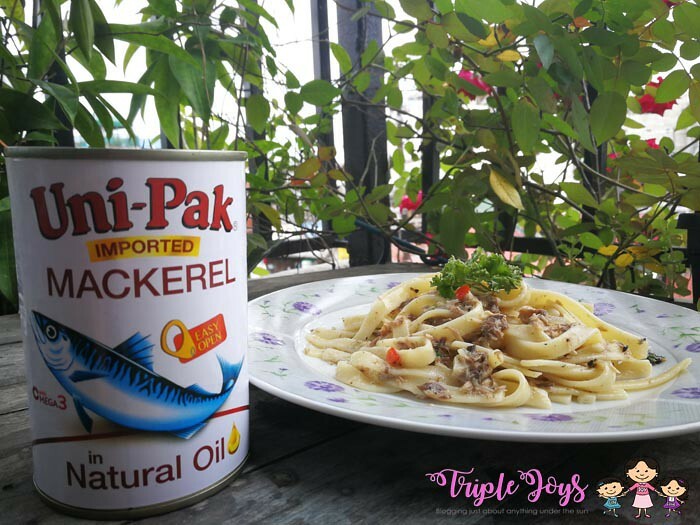 Uni-Pak Mackerel Pasta Recipe & a Giveaway! (Updated & Extended!) - Triple Joys!!! Pasta-lover. Well, you can call my hubby that. It doesn't really matter much what sauce you topped his pasta with, he will still definitely prefer that compared to any rice meals! And so, because I love him so much and because I wanted to serve him and my kids a healthy meal, a brilliant idea came into my mind! Ting! Now, I know what to do with my Uni-Pak Mackerel (though, kung ako lang, mainit na kanin lang ang katapat nito! hahahaha). 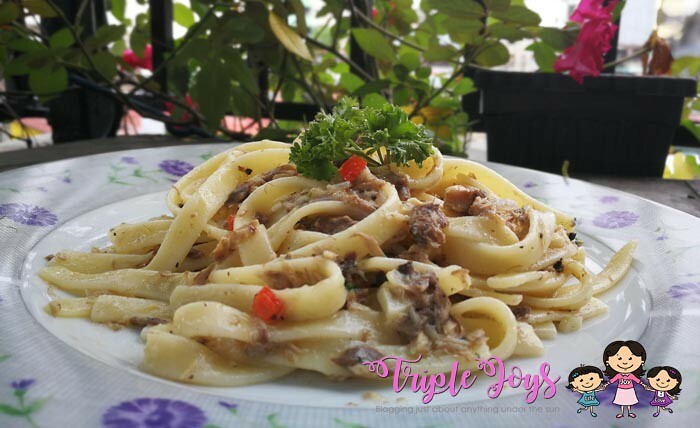 Instead of making use of our usual recipe - tuna, I used mackerel for my pasta dish. And I am just so glad that I tried this recipe because my daughters, especially my husband loved it! Kaya mga momshies, try niyo din ang recipe na'to! This is definitely one proof that one shouldn't be settled with the things that we are already used to. Try to experiment from time to time and you will realize that "hindi basta nakasanayan, the best na yan!" We should always remain on the lookout on how can we better serve our love ones! And mga momshies, do remember too, that "basta Mackerel, dapat tatak UniPak!" para wala kang pagsisisihan! 2. Empty the pot then add oil and saute onion, garlic, bell pepper over medium heat, stirring constantly until the garlic and onion turns brown. 3. Add the mackerel. Crushed the meat into pieces. Do not add the oil yet. 6. Add the oil (of the mackerel). Toss the pasta lightly until the sauce thickens. 7. If the pasta seems to be dry, you can always add olive oil. 8. Add the parsley and toss to combine all ingredients. 9. Put in a platter and serve. Alright momshies! Now it's your turn to come up with ideas! Ready na ba kayo? Just follow the simple steps below to get a chance to win this gift pack from our friends in Slord Development Corporation! This giveaway will run until November 30, 2017 December 9, 2017. Winner will be announced on December 9, 2017 December 16, 2017. Uni-Pak will deliver the gift pack to the lucky winner! Goodluck! Question: What button will I click to follow your blog? Thank you. 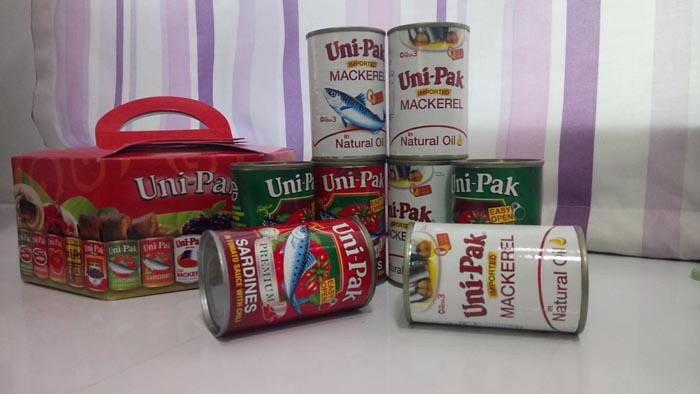 .. masarap din po ung sardines patty gamit ang uni pak mackerels..
definately itatry ko din po ting recipe niyo. thankyou po. thankyou hope to win po. Congratulations Roselyn! You won! Kindly send me your complete address! I will forward it to Unipak and they will be the one to send your prize! Thanks again for joining! Thank you for all who joined!